There are reasons why humans naturally gravitate toward certain colors. Plenty of research has been done to find the relationship between colors and human emotions. The conclusions of these studies vary but an underlying commonality that has been observed is the ability of color to affect one’s mood. Over the years certain foregone conclusions have been made about certain colors to the point of becoming almost stereotypical. For instance, pink represents sweetness and love, yellow represents happiness, attention, and energy. It is likely that these stereotypes are actually based on a long history of observations regarding peoples’ reaction to specific colors. 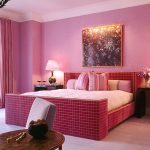 When it comes to decorating rooms, it is advisable to try as much as possible to choose colors that will soothe the occupants and make them feel comfortable. For instance, to help you get a good night’s sleep, you should make sure that have warm comforting colors in your room rather than bold colors that are likely to aggravate you. Color also has various effects on people depending on various factors such as gender, age, climate and ethnic background. Studies have shown that specific colors tend to elicit similar reactions from people of the same demographic. 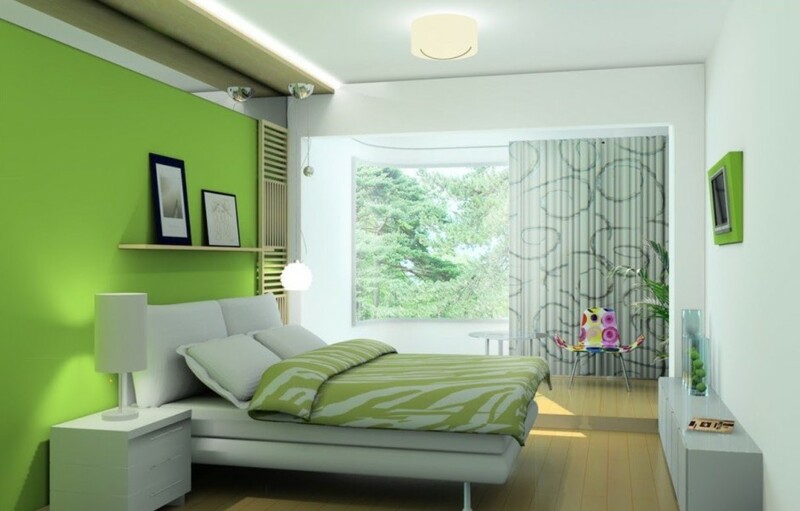 For this reason, it is important to ensure that the colors that you choose for your rooms are picked carefully. Choosing the right color combination can be rather intimidating especially for beginners and we hope that this post will help make your decisions easier. Below are some aspects to consider in order to make the whole process easier. 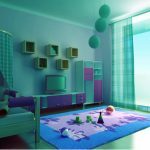 Before picking a color theme, you need to consider the effect that the hues will have on the psyche of the occupants of the room. You need to actively think about feeling you need to elicit. The right color can help change a distressful environment to a more a more tranquil space. This is an important aspect because it directly affects the moods of your loved ones or tenants. Colors have three general characteristics. The are either passive, active or neutral. By correctly categorizing colors, you can, therefore, match a room’s color with personal taste and desires. Below is a breakdown of how room colors can directly affect mood. Yellow is an active color that exemplifies happiness and captures the nature of sunshine. Since this is obviously an energetic color, it would be a great option for kitchens, bathrooms and dining rooms. It can also be used to uplift and energize spaces such as foyers, halls as well as any other small spaces in your home. 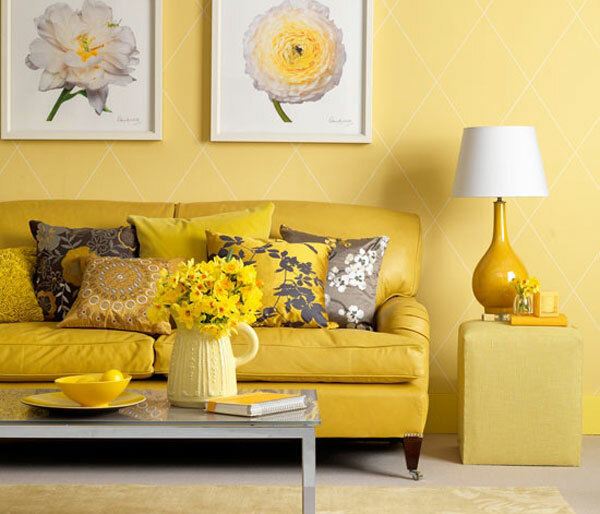 Apart from creating an energetic feeling, yellow has the ability to make a space feel larger than it actually is. 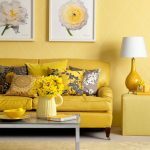 Despite the fact that yellow is a fun, lively color, it is surprisingly not the best choice for your main color scheme. Research has actually revealed that individuals have a higher probability of losing their temper in yellow colored interiors. Babies have also been noticed to cry more when placed in rooms with a yellow color theme. It is, therefore, important to combine yellow with one or more colors. This blend will soften and even out the yellow color so that it is not too imposing. When used moderately, this color is very energizing and purifying for the body. According to studies, blue helps people lower their blood pressure and normalize their heart rate. This color is, therefore, recommended if you want to create a serene, relaxing and calming mood in a room. So which are the best rooms to incorporate a blue color theme? It is advisable to use this color in bathrooms and bedrooms. It is important to choose the right shade of blue before painting. 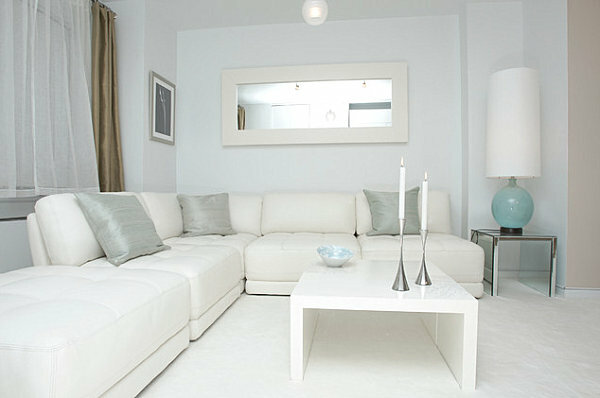 For instance, pastel blue may look great when looking at sample colors but it is likely to look gloomy on walls. On the other hand, a lighter blue may create a more comforting feel especially in a room that receives plenty of natural light. Ensure that you balance blue with other warm hues to get the right welcoming effect. If you want to enhance relaxation in social spaces such as living rooms, family rooms, and large kitchens, you should consider warmer hues of blue. Some great examples include periwinkle, cerulean and turquoise. 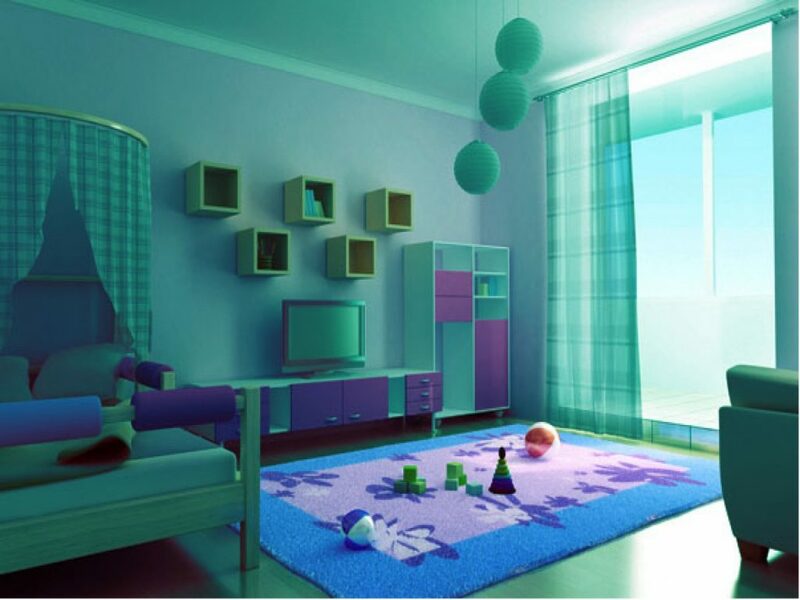 These colors definitely have a significant calming effect and are suitable as dominant colors for rooms. Darker shades of blue have an opposite effect and evoke sad feelings. It is advisable to steer clear of dark blue for your main interior color scheme. This color is very restful and quite easy on the eye. The advantage of green is that it has the liveliness of yellow and refreshing nature of blue. 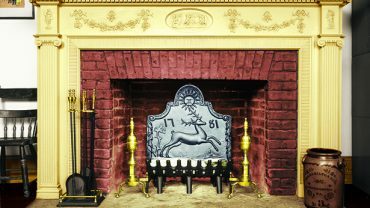 These combined qualities make it a great option for virtually any room in your house. If you use it in your kitchen it will give you a relaxed feeling and the same effect will be felt in your living room. 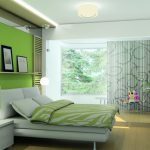 The warmth that green evokes makes it a great choice as the main color for a room because it has been found to help in relieving stress. Due to the fact that green lies in the middle of the color spectrum, experts claim that it has the ability to balance your mood and keep you grounded. Since there is plenty of green in nature, including the color in your household has a reassuring effect that makes the mind and body feel invigorated. The darker hues of purple such as eggplant are very rich, sophisticated and elegant. This color is regularly associated with creativity and luxury and it works well as secondary or accent color. Purple is, therefore, helps spark creativity by helping the mind to relax and concentrate. But it’s not only the darker hues that are dramatic, lighter varieties like lilac and lavender offer a similar restful quality and are suitable for bedrooms and study areas. Scientists claim that the restful nature of purple is attributed to the fact that it has a short wavelength. This enables it to take you to a higher level of thought. The color can help in meditation and deep contemplation. Just as in the case of other colors, excessive use is not advisable. Too much purple could lead to over-contemplation and introspection. 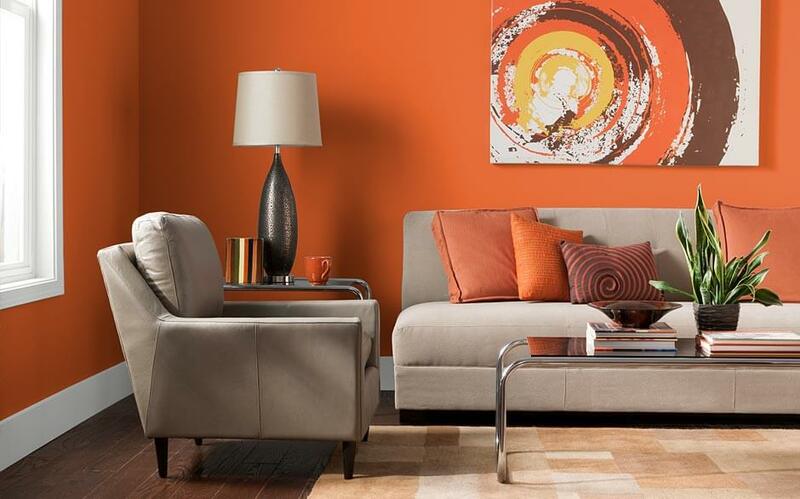 This is a very active color that evokes a feeling of excitement and vibrancy. It is very energetic and is, therefore, a great color for social spaces such as living rooms, bedrooms and exercise areas. This color helps in bringing out emotion and can also increase your level of energy. Orange is a combination of yellow and red, which means that it can bring out a combination of emotional and physical reactions. It can focus your mind on physical comforts such as warmth, food and the need for shelter. On the emotional side, it helps bring out a sense of fun, well-being, abundance and sensuality. When you incorporate too much orange, it is likely to have a counterproductive effect by bringing out emotions such as deprivation. This also happens in cases where warmer hues of orange are combined with black. 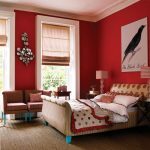 Red is said to help in raising the energy levels of a room. It is an intense color that has an effect on the body’s adrenaline production. 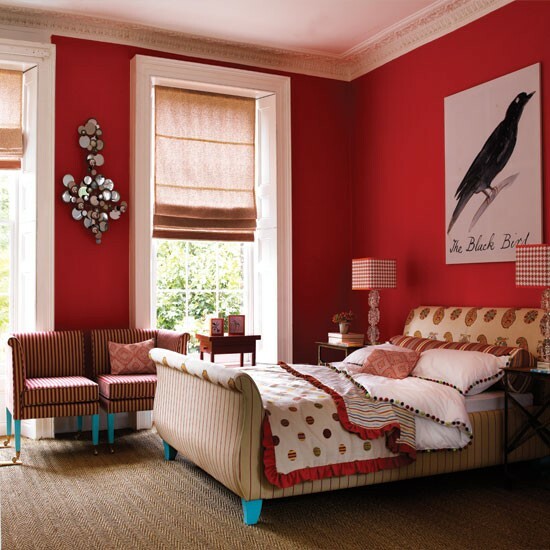 If you need a room color that will help in stirring up some excitement then this is the way to go. Red aids in making people more sociable and is great for stimulating conversations. 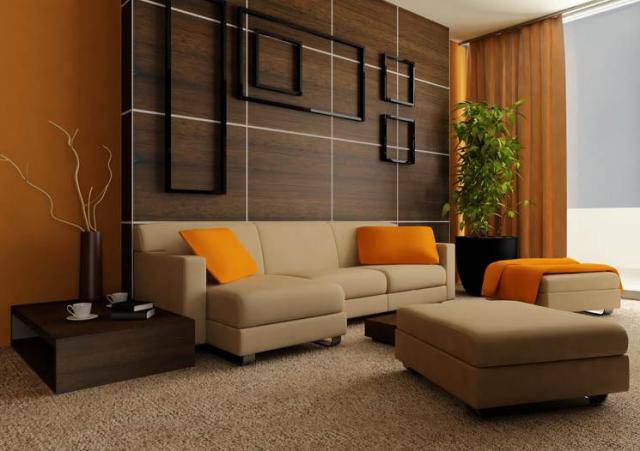 It is for this reason that this color is incorporated in social areas like living rooms and dining areas. It also has a welcoming effect and can help in creating a great first impression. This is why it is commonly used in entryways. Research has shown that red raises blood pressure, heart rate, and respiration. 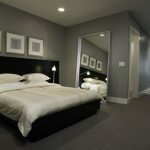 This makes it a bit too stimulating to be used in bedrooms, though it is acceptable if you are mostly in the room after dark and use lamp light to mute the color. When muted, red can still appear elegant and rich. Red is a very strong color and apart from its numerous positive attributes, it can evoke some negative emotions such as aggression and defiance. It may, in some instances, cause some physical strain. Since pink is a derivative of red, it has some of the same attributes. The difference is that rather than stimulating the mind and body, pink is more soothing. It is a nurturing color that evokes a feeling of tranquillity, warmth, love and femininity. This color should be used in moderation because when it’s used in excess it could invoke feelings of claustrophobia, physical weakness or inhibition. This is a neutral color that, according to scientists, has no distinctive psychological properties. Despite this, it can be rather suppressive and in some cases cause you to be depressed. It causes people to instinctively condition themselves to a state of hibernation. In some cases, if you use the right tone and when combined with other livelier colors, you can achieve a great final look. Gray works best when being used to mute other colors. Black actually consists of all the colors in the spectrum, absorbed together to create a single color. This color has been shown to have several psychological implications on people. It acts as a kind of buffer by absorbing energy that may be flowing towards you. It can be a rather intimidating and menacing color since it is very similar to darkness which many people are afraid of. On the other hand, black can also evoke feelings of sophistication, clarity, and excellence. The best effect that you could get out the color black is to combine it with white which is another neutral color. The combination creates a great balance and helps give occupants in the room a calm feeling. Black also helps create a perception of seriousness. This color is the total opposite of black. Whereas black color absorbs light, white tends to reflect it. It is often used to denote cleanliness or purity and this usually gives people a sense of safety, comfort, and well-being. 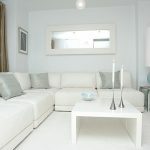 White also tends to give occupants of a room an enhanced perception of space. 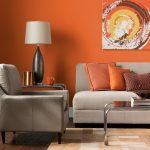 This neutral color combines well with most colors but you should be wary when combining it with warm colors because the result is likely to be obtrusively bright. Brown is an interesting combination of yellow and red. It also has a significant amount of black which means that it is often regarded with the same seriousness. The difference is that brown is more earthy, thus has a warmer effect. This color will make you feel comfortable and at ease due to the inviting nature of the blended hues. The downside is that brown can sometimes become suppressive and may make you feel depressed. This mostly happens if the color is overused in a room. 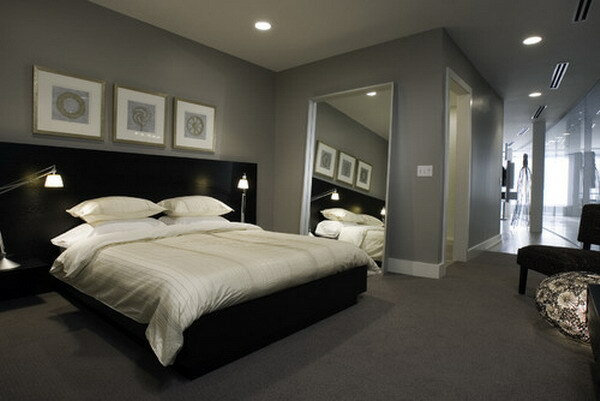 Neutral colors come in and out of fashion but they are liked because of their ability to blend well with other colors. This also means they are able to help balance out the effect that loud colors may have on your mood. Colors are a very important aspect of our lives and this is best exemplified by how we use them to describe out feelings. For instance, ‘I’m feeling blue’, ‘Seeing Red’, or ‘green with envy’. This shows that there is some connection between specific colors and individual emotions. All this should be taken into consideration when you are choosing the right color for your rooms. Therefore, apart from personal preference, it is important to find out how a specific color will affect your mood before choosing it. In addition to this, it has been mentioned several times earlier that the excessive use of a particular color is bound to create a negative effect. Moderation and blending of different colors. This will go a long way in regulating the effect of a color on moods. Getting the right mix of colors is a process that involves the mind, body, and emotions.